The Underbone 130cc qualifying will undergo a shake-up starting this year with the FIM Asia Road Racing Championship promoter set to introduce a Superpole format as opposed to the usual 40-minute qualifying session with the goal of increasing entertainment value for race goers. This new development was announced ahead of the 2015 opening round at Sepang this weekend, which also marks the championship’s 20th season. 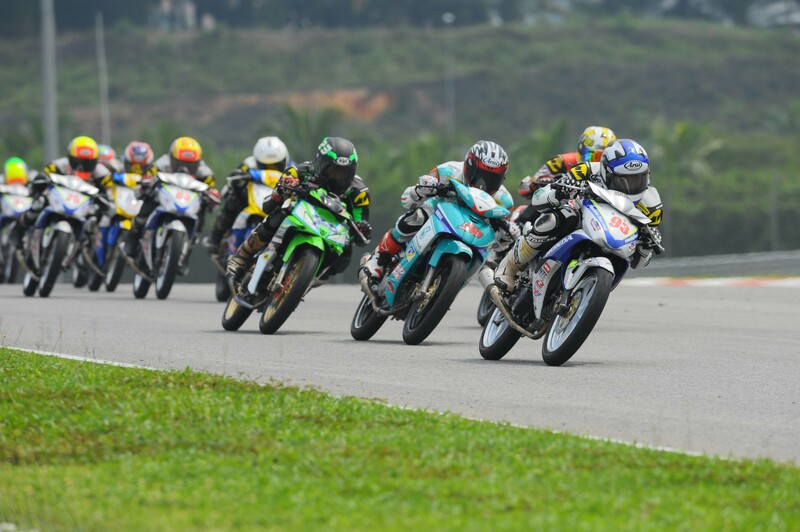 Used in the PETRONAS AAM Malaysian Cub Prix Championship, the SuperPole is a timed event to determine the starting order at the front for top 10 riders of the practice sessions. Released one by one with a 15 seconds interval between them, each rider will get a sighting up lap followed by a flying lap before returning to the paddock. It codifies the current situation, in which the riders spend the first 30 minutes of the previous qualifying session working on set up, before pushing for a grid position in the final 10 minutes. This new format also cuts back the number of riders on track at the same time during the hectic push for a fast time. “In Cub Prix, the SuperPole makes for a more dramatic and compelling moments in and we are confident it will bring the same vibe for the Underbone 130cc,” said championship promoter, Two Wheels Motor Racing Sdn Bhd (TWMR) Promotions Director, Ron Hogg. “It will be a great show for fans attending the race as they get to watch their favourite riders battle to make the field. As for the teams and riders, they will need to work extra hard to get everything right in the first two practice sessions before the SuperPole,” he added. Riders competing in the Underbone 130cc welcomes the revised qualifying format, saying it brings about a new tactical element and increases the chances of upsets.